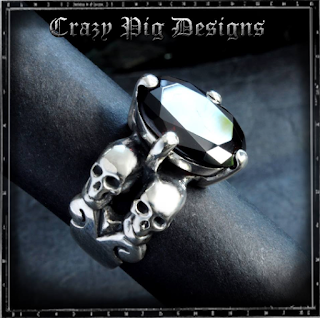 This elegant and feminine ring features a traditional four claw setting holding a precious stone resting on four little skulls. 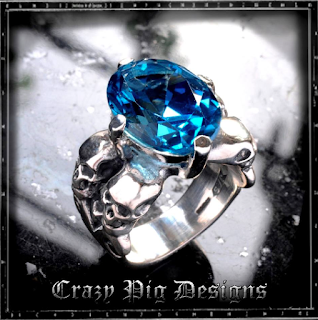 It is shown on these images in Faceted Blue Topaz or Red Garnet. The Ceremony ring is available in a selection of precious stones. It is an ideal candidate as a starting point for a bespoke ring and can be ordered in gold or platinum with additional diamonds set in the skulls eyes or in the ring itself. Could this be the ideal engagement or wedding ring? The diamond rings are the most superior and unique piece of jewellery which is to be worn on special occasions like engagement or wedding that is celebrated once in a lifetime.